Is there any way to convert DRM-restricted Apple Music files to unprotected AAC? Nowadays, streaming audio is receiving more and more popularity. Last year, Apple unveiled Apple Music to follow this mainstream and earn a place in music streaming service market. Today, in less than one year, Apple Music is considered to be one of the most popular online music streaming services available in the market. And just like other streaming services like Spotify, Apple Music also adds DRM protection on the streaming music, which brings much inconvenience. 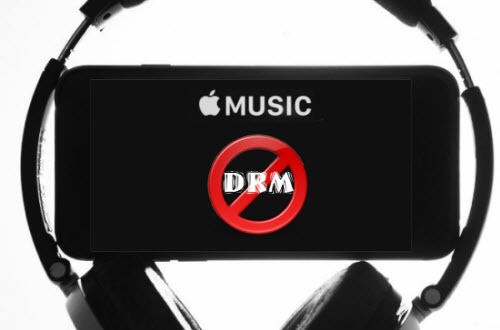 Here this article will teach you how to remove DRM from Apple Music streaming songs and convert them to DRM-free AAC format. What is AAC and What are the Differences Between M4P and M4A? Many people have trouble in telling the difference from AAC, M4P and M4A. From what Wikipedia said, AAC (Advanced Audio Coding) is an audio coding standard for lossy digital audio compression, which is designed to be the successor of the MP3 format. However, unlike MP3, which has a unified .mp3 extension, AAC encoded audio files can have a variety of extensions that include .aac, .m4p and .m4a. So, M4P and M4A are just file extensions for an audio file encoded with advanced audio codec (AAC). All in all, AAC is an audio encoding scheme, while M4A and M4P are only file extensions. In 2003, Apple announced that its iTunes and iPod products support songs in AAC format and the music downloaded by customers from iTunes are in DRM-restricted form of AAC. But since 2009, nearly all music on the iTunes Store became DRM-free. However, things changed with the release of Apple Music, DRM returned back. The DRM-free music you download from iTunes are in m4a format, while the music with DRM protection are in m4p format. So, is there any way to convert protected M4P music to DRM-free M4A format? 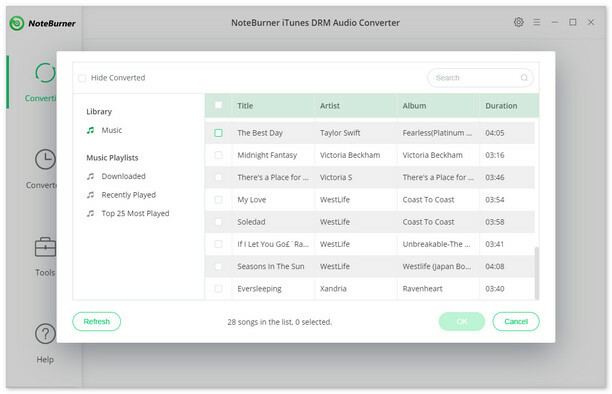 NoteBurner Apple Music Converter can perfectly help you convert DRM-ed Apple Music M4P songs to plain AAC or MP3. With a leading-industry record technology, it can record Apple Music songs in the background at super fast speed with zero loss quality. You can record a 4-minute song within 30 seconds. Both Windows version and Mac version are available to download. Apart from recording Apple Music songs, NoteBurner Apple Music Recorder is also able to record iTunes audiobooks, Audible audiobooks and other iTunes purchased M4P music. You can download this powerful Apple Music Recorder to have a try. After downloading and installing the Apple Music converter, double click the program icon to launch the program. Click "Add" button, then you will see a pop-up window which will show you all the iTunes folders. You can add Apple Music files as you want. Click the "Convert" button to start conversion. After conversion, click the "Output" button in the main interface or right click the filelist and click "Show in Finder" to find the output DRM-free .m4a audio. 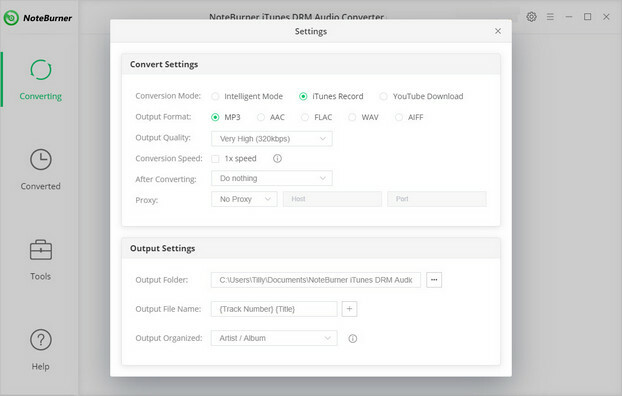 With three simple steps, you can remove DRM from Apple Music files and convert Apple Music streams to unprotected AAC format. After converting, your music files are free from any restriction. YouTube Video: How to Remove DRM from Apple Music Files?